The best way to make yearbooks for your school in-house is to use a thermal binding machine, such as the Coverbind thermal binding machines. They are of good quality that will last you for many years to come, and are affordable enough that they can pay for themselves quickly. Plus the price of your completed books will be low enough that you can ensure every student, even those in need, can have a memorable yearbook to commemorate their year at your school. For smaller schools with fewer students, such as local private schools or specialty schools, the Coverbind Accel Flex is the best option. This thermal binding machine is easy to use and can handle the full range of thermal binding cover sizes to make hardcover yearbooks up to 1" thick. 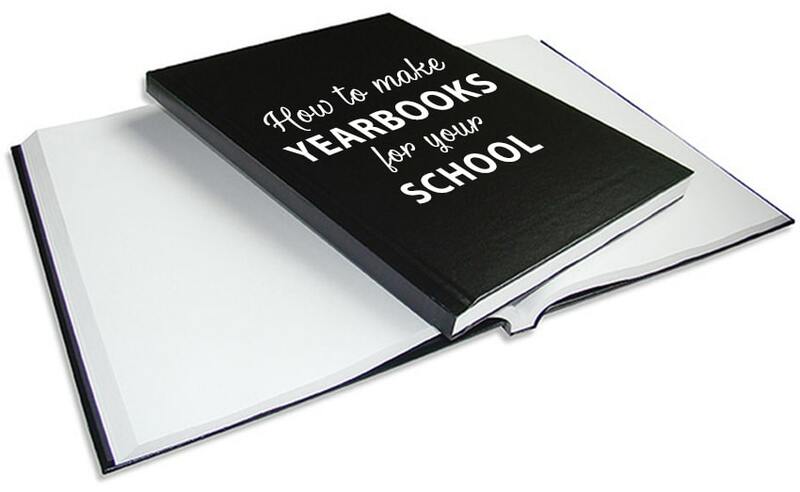 You can also use it to make softcover yearbooks, or internally for office documents throughout the year. 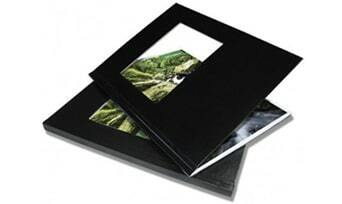 The Flex is the easiest way to make yearbooks for your small school or classrooms. Just place your stack of filler paper into the size selector; this will tell you the best cover size for your yearbook thickness. If you're between sizes, choose a size larger. Then just place your paper into the cover, and place the cover onto the heating plate. The machine will begin a countdown, and in about 1 minute it will sound a tone with a red light to indicate that the binding process is complete. Keep the cover closed and move it to the cooling rack. We recommend leaving the book to cool for at least a few more minutes to ensure the glue can cure completely; handling it before it is cured could lead to pages falling out. With the Accel Flex you can bind several books at a time, and the fast binding cycle lets you have a quick turnaround. Depending on the size of your year book, you can make as many as 900 books per hour. It is an incredibly affordable machine, and with the labor savings from the speed and the versatility of the kind of documents you can bind, it will pay for itself quickly. For larger schools with more students and classrooms, consider one of the Coverbind semi automatic thermal binding machines instead. There are three different options to choose from: the Accel Cube, the Accel Ultra, and the Accel Ultra Plus. The Coverbind Accel Cube is great for mid-sized and even large schools. It features semi-automatic operation with Drop & Go technology and an automatic rotation of your books. This means that all you have to do is place your pages into the cover, and place the cover into the machine. It rotates the book completely through the binding process and, as it moves, opens up new spaces for your to continuously load more year books. This means you can bind up to about 60 books per minute, depending on the thickness. Once you've loaded all of your books, you can walk away. The books are exited into a holding bin. When the bin is full, the machine will stop running, so be sure to empty it often if you're doing continuous loading. Not only is this the easiest way to make yearbooks in-house...it is also one of the fastest! It can actually outperform punch-and-binds by 45 times the output, and can save you a ton of money and time outsourcing. 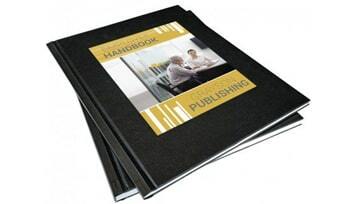 Plus, the versatility of thermal binding cover available means you can use it throughout the year for any binding you may need. The Accel Ultra from Coverbind is the big sister of the Cube; it's larger binding area allows for more books to be binding at the same time, increasing the binding speed to an impressive 120 yearbooks per minute (again, depending on their size). Just as simple as the others, just place your yearbook pages into the appropriate cover size and place the cover into the feed. Continuously load your books until you're done, and then walk away. Empty the exit tray often to keep the machine running without pausing. Once emptied, it will start back up again and continue binding automatically. The Accel Ultra Plus works exactly like the Ultra, but the book spacers are further apart, which allows for binding yearbooks up to 1 ½" thick. Coverbind thermal binding machines are the best, fastest, and easiest way to make yearbooks for your schools. But that's not all they can do...they can also be used to bind supplemental coursework, curriculum books and reports, white pages or in-house textbooks, course documentation and handbooks, donor and sponsorship requests, registration packets, student athletic guides, school regulations and course catalogs, lab books, thesis reports, college brochures, catalogs, orientation manuals, board reports, school magazines, student projects, campus directories, and any other document you might previously have bound with staples, covers, or punch-and-binds.